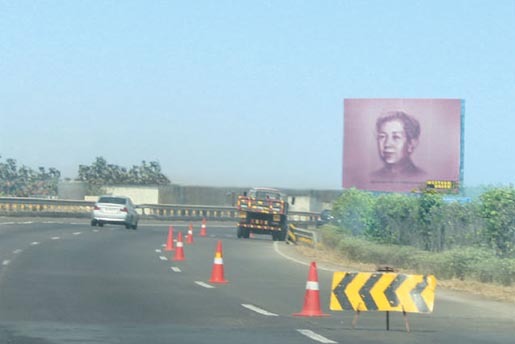 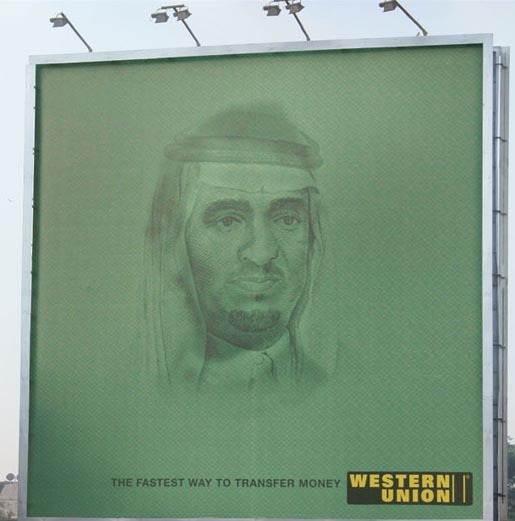 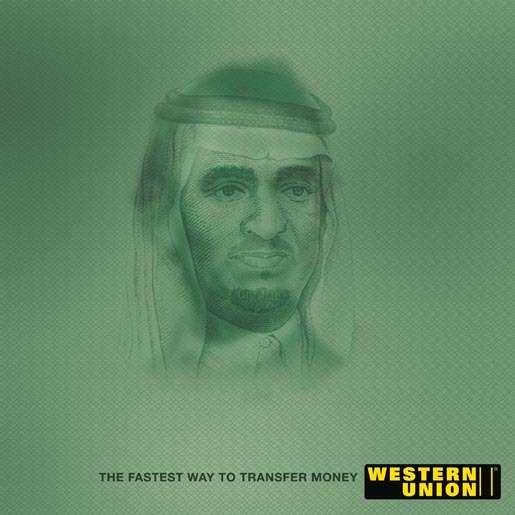 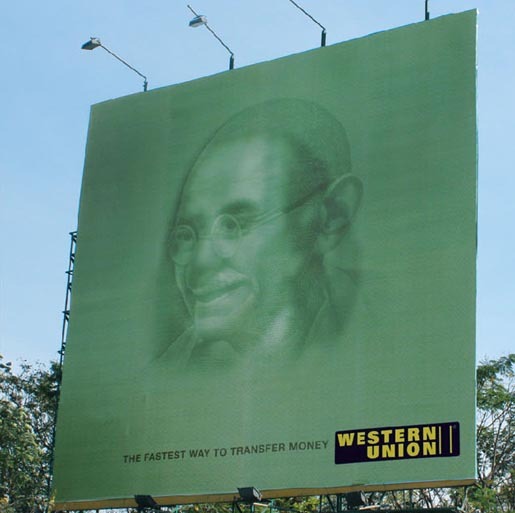 Western Union‘s claim to be the fastest in money transfer was promoted in “demo billboards” in Mumbai, India, featuring the faces of currency. 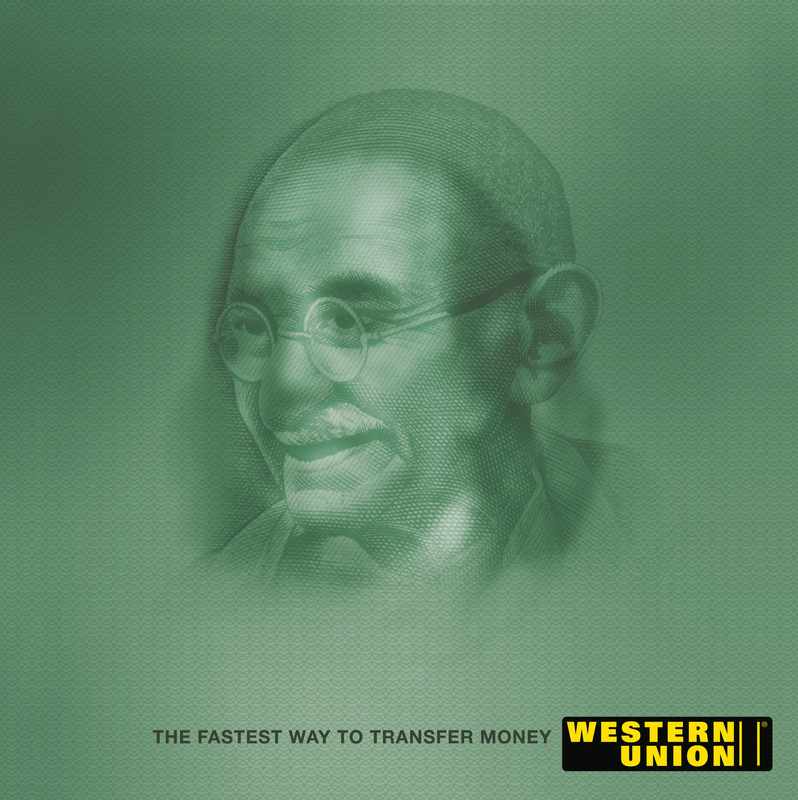 Western Union’s outlets in India are shared with five other money transfer services, most of which are cheaper. 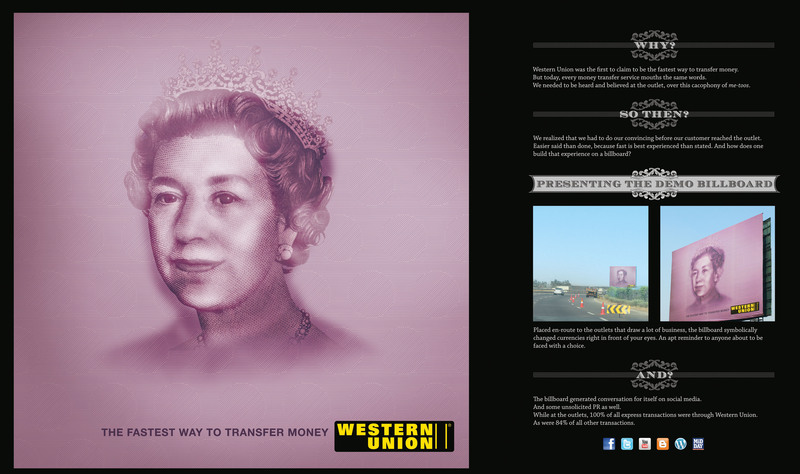 Billboards, placed on roads close to the outlet, changed their images as drivers drove past, reminding them that Western Union’s services changed currency instantly. 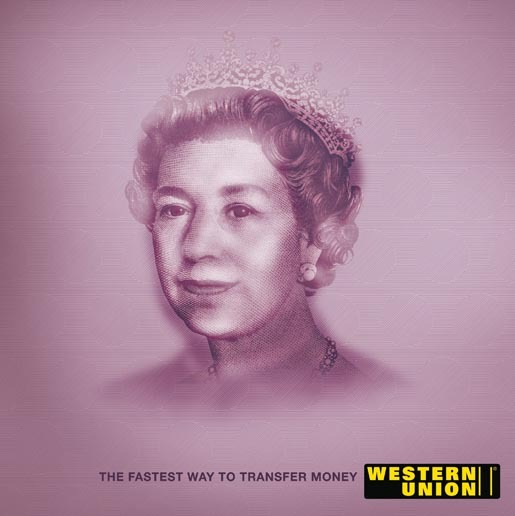 Mao Zedong (Chinese Yuan) became Queen Elizabeth II (British pound). Abraham Lincoln (US $5) became King Fahd (Saudi Riyal). 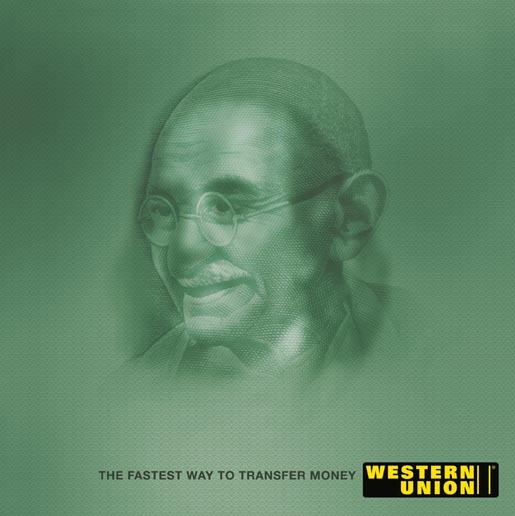 Benjamin Franklin (US $100) became Mahatma Gandhi (Indian rupee). 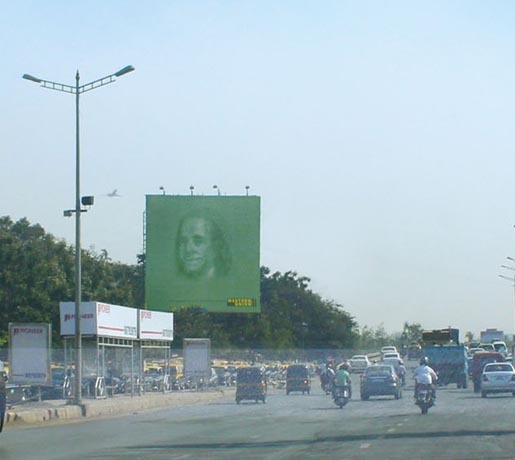 The campaign won a Gold Outdoor Lion at 2012 Cannes International Festival of Creativity. 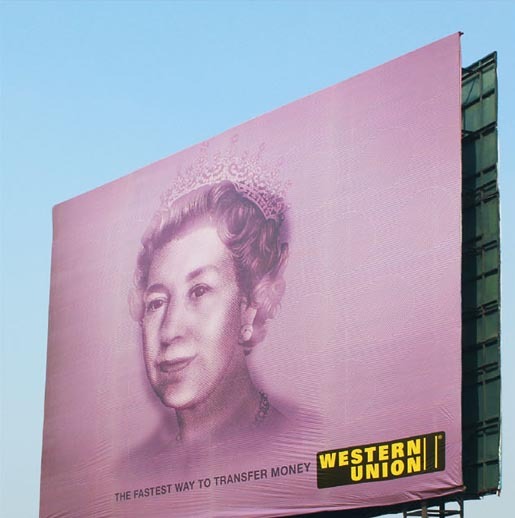 The Western Union Demo Billboard campaign was developed at McCann Workgroup India, Mumbai, by chief creative officer Prasoon Joshi, executive creative director/art director Akshay Kapnadak, executive creative director/copywriter Rahul Mathew, agency producer Sandesh Shirke, business director Sudhish Pillai, brand leader Ishaan Pandya, project manager Sagorika Sen, senior project manager Rohan Parkar, project manager Samruddhi Roge, production head Robert Joseph, assistant production manager Sunil Chalke, retoucher Harshal Pandare, account managers Alpa Dedhia and Ashfaque Shaikh. 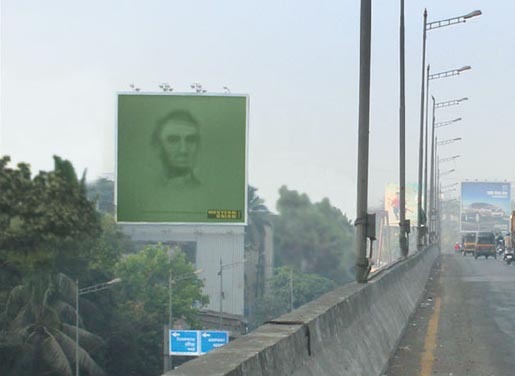 Filming was shot by director Rahul Kale via Dancing Elephant Picture Company, Mumbai, with director of photography Vasudev Rane, producers Ninad Vaidya and Bhushan Pednekar.